Mr. Srinivas is a Verbal aptitude trainer, public speaker, has over 16 years of experience in test prep industry. He has mentored several overseas education aspirants and facilitated committed training with innovative Pedagogy, especially: is exceptionally good at writing and reading part of SAT, Verbal aptitude of GMAT and GRE. His classroom management and enduring motivational anecdotes are exemplary to fellow trainers. Main interests: International politics, holocaust, world wars and ancient architecture. Favorite authors: Emerson, Thoreau, Brain Tracy and Napoleon Hill. Influences: Jean Paul Sartre, Napoleon Hill, Keynes, Lincoln. Favorite Music genres: English country, western classical, Telangana folk. Mr. Jeff is an English Language Trainer for many years now and have taught people from all over India especially Chennai, Hyderabad and individuals from across the globe online. His Long List of happy students worldwide include, Professionals, Doctors, Lawyers, Teachers, Engineers, Architects, Managers, Civil Engineers, Software Engineers, Foreign students and Housewives too. He also has vast experience in training call center agents of in customer service and team building skills/soft-skills and have worked with various companies Like TCS, Perot Systems, Infosys, Wipro and a number of students have learned communication “Listening, Reading, Writing and Speaking”, I teach for any English language examination such as IELTS, PTE, Spoken English, Personality Development and Grammar. Training people is his passion and vocation, and is a powerful tool that makes a huge impact on students and makes them more efficient in general and at work. Every training session is a new challenge that keeps the energy levels soaring. Ms. Kezia has over 12 years of strong experience in coaching students for English language examination such as IELTS and various aspects of Organizational Development training. She has worked with Global Leadership teams in multi-national and multi-cultural environments based in Europe, Africa, Middle East and Asia Pacific. As part of her teaching career, she was motivated to teach students who dream to progress in their academic and work aspirations. Thus, she gained a Train the Trainer certificate from British Council Chennai on IELTS training. She enjoys talking and teaching to students who dream and think BIG!. She has a Post Graduate degree from XLRI Business school- Jamshedpur in International Business Management and holds a three years’ full time dual degree in Bachelor of Commerce from Osmania University & Software engineer from National Institute of Information Technology (GNIIT). She was inspired to pursue her career in HR domain therefore, holds a HR professional certificate in Corporate Human Resource Management from TÜV SÜD South Asia. Also, she had delivered many training programs mainly in countries like Dongguan, Hong Kong, Beijing (China), London, Dubai and Europe on Leadership skills, Employee Engagement, HR Coaching for Leadership roles, Teambuilding and Workplace related professional skills and soft skills trainings. 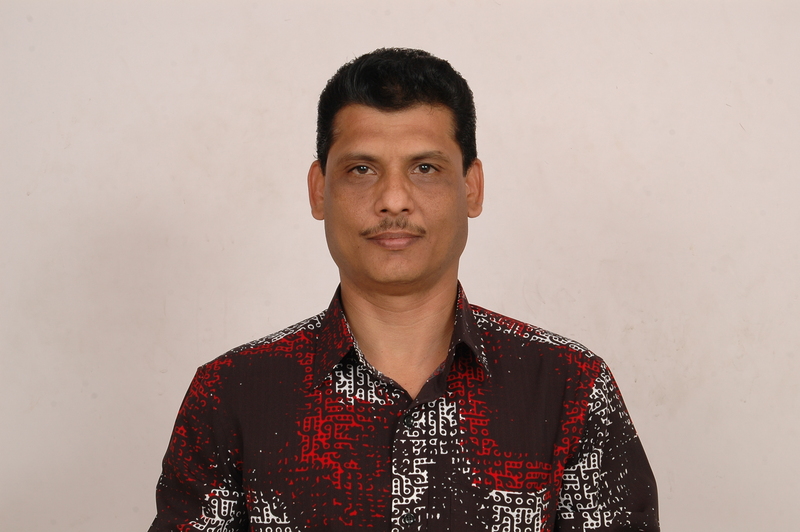 Mr. S. H. Hussainy is a post graduate in Mathematics from Andhra University. He is the author and co-author of a number of books on Mathematics. He has been teaching quantitative techniques for GMAT & GRE students from a long time. He started his career as a lecturer in V R College, Nellore, retired as a reader in Mathematics in National Defence Academy (NDA), worked as HOD in Rishi College & Vishwa Bharathi College of Engineering and Management. He was a maths faculty in Visu (Coaching INDIA) before joining Novus. His illustrious career includes various awards & accolades for his contributions to the field of Mathematics. His vast experience,techniques & shortcuts help the students score maximum in prerequisite tests. He is popular among the students for his unique style of teaching. have attained high scores under her able guidance. to professional aptitude training. He worked with esteemed institutions viz Triumphant Institute of Management Education (TIME) as aptitude trainer for ICET and GRE for two years. Globarena Technologies Pvt. Ltd. as aptitude trainer for Campus Recruitment for two years. He is a certified trainer for GRE from the Princeton Review. Ms.Salma has studied MBA and is a qualified and trained English language faculty who is able to effectively teach different sections of pre-requisite tests TOEFL & IELTS with a valuable experience of 9 years. An articulate and committed professional with proven ability to teach, motivate and direct students toward the maximum performance by encouraging with a range of interactive teaching. Her unique ways of teaching has been helping students get the top scores in different prerequisite tests. MBAâ€™s and MCAâ€™s. He has free lanced for corporate clients like GVK-BIO, Liquid Hub, etc. Mr Vijay Kumar is now a part of Novus team training students for TOEFL iBT, IELTS and Communication Skills. Mr P. Sai Baba has done his Masters in English language and Literature from Berhampur University, Orissa. He has been training students in English at various levels for 11 years. Mr Prasad Naidu has done his Master of Business Administration (MBA), Master of Computer Applications (MCA) from Madras University. He has been teaching quantitative techniques for GMAT & GRE students from a long time. He was a maths faculty in Visu (Coaching INDIA) before joining Novus. His vast xperience, techniques & logics help the students score maximum in prerequisite tests. He is famous among the students for his unique style of teaching. He wrote many books on Quantitative. Prem specializes in providing language solutions to students and professionals. His valuable experience in developing and delivering training for various target learners made coaching worldwide English both effortless and effective. Besides coaching, his responsibilities include Marketing and Operations. Santhosh Kumar is an MSC graduate in MATHEMATICS, who wished to be an academician from the first day of his active life, inspired by his own family members. 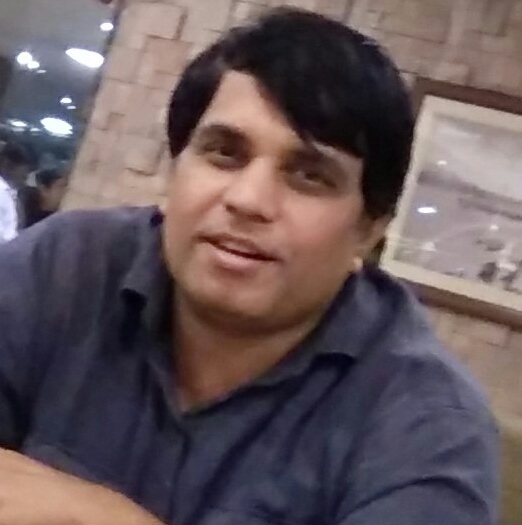 He started his career about 8 years ago as a Junior Lecturer for Mathematics and then became a trainer for Quantitative and Analytical Aptitude for competitive exams like ICET, Bank Exams, CRT, GRE, CAT, EAMCET, IITJEE and GATE etc. He has had experiences of working with almost all the leading names in the field of competitive exams training. He has qualified the UGC-CSIR National Eligibility Test (NET) in MATHEMATICS. He teaches Quant Prep for GRE , GMAT and SAT courses.